72- the stylish bar at Holiday Inn Mumbai International Airport brings some selective Valentine Martinis and Love Lips Shots which will be available to the patrons during the Valentine’s Week. 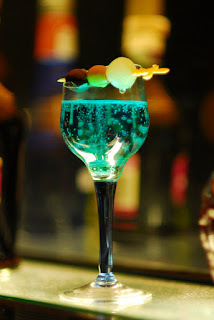 The bartender has created some exclusive potions and concoctions which will set the mood and enlighten the senses. Some of the drinks on offer are chocolate lovers (chocolate sauce, baileys, vodka, demerara sugar), love bite (cointreau, vodka, cranberryjuice, lime juice, sugar syrup), soft heart (vodka, strawberry syrup, litchi juice, lime juice), love bird’s (gin, dry vermouth, grenadine,lime juice,sugar syrup), love in the air (vodka, midori melon, ginger juice, lime juice angostura bitters) etc. Venue: 72 & Saptami Holiday Inn Mumbai International Airport, Sakinaka Junction, Andheri East Mumbai.